Abu Dhabi: Thousands of tourists are now putting Mina Zayed Dates Market on top of their list of places to go when they visit Abu Dhabi. 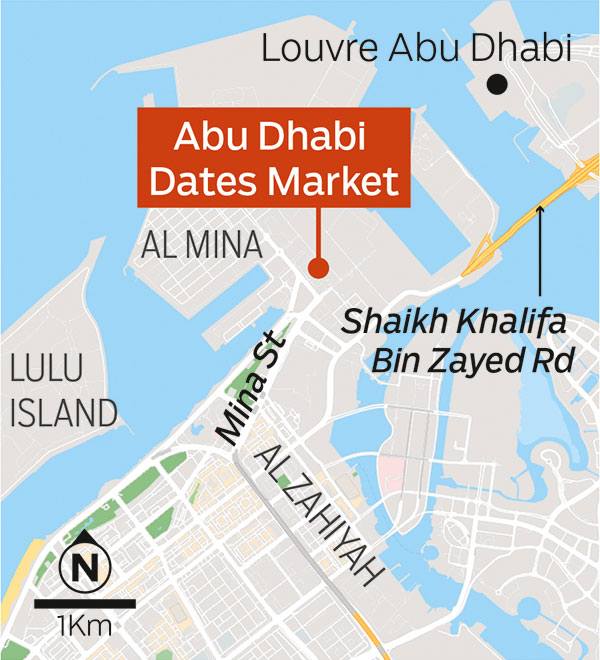 The notion that only Emiratis and Arabs love dates can be challenged if one visits the Mina Vegetable and Fruits Markets’ “dates bazaar” in winter, particularly when foreign tourists swoop in droves to buy the finest dates of Arabia. They also buy in bulk to take the produce back to their home countries, where the delicacies don’t grow. Most of these tourists come from central and eastern Europe as well as the Far East and they arrive in groups on tour buses. “We offer about 400 types of dates with the passing of seasons throughout the year. But currently we have the most preferred dates of 15 varieties. “Each day, about 1,500 to 2,000 tourists visit the market. The crowd swells on Saturday, Sunday and Thursdays,” he added. 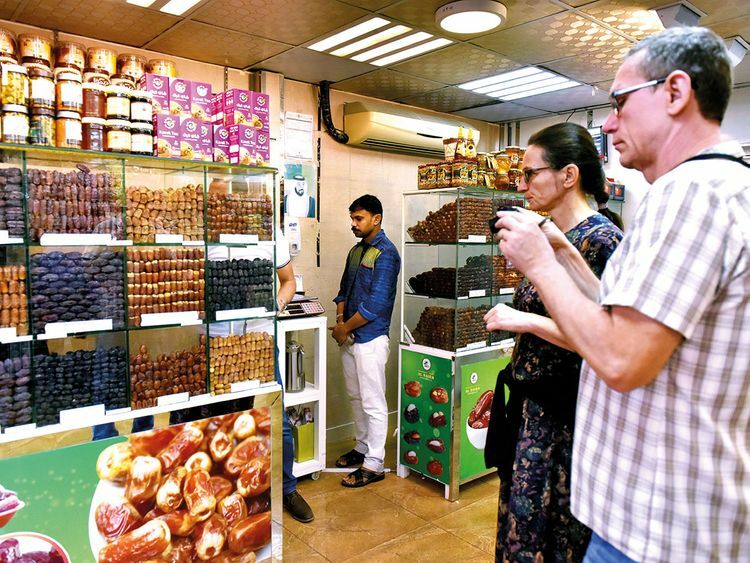 Mostly tourists buy Ajwa and Majdool, chocolate dates, syrup and ghawa powder. Ajwa is sold at Dh130 a kilo, Majdool Dh130, Mabroom Dh60, Saghai Dh60, while newly arrived from Namibia Majdool special is priced at Dh140 per kilo. Most dates come from Saudi Arabia. Local dates include Dabbas, Dh20 a kilo, Fard Dh20, Khalas Dh20-25. Tourists visiting the market were keen to try before they buy and most seemed to enjoy the taste. 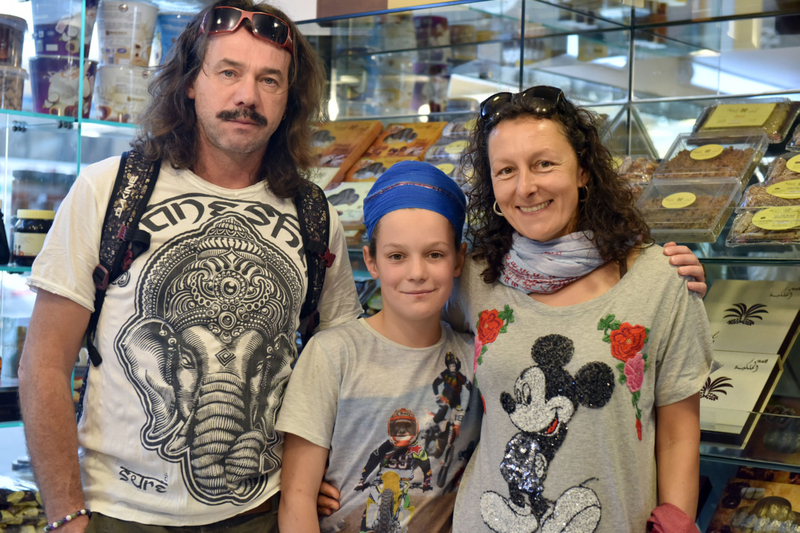 Yola Roth from Germany was shopping for dates along with her husband and son. “Dates here are of very fine quality and they are fresh,” she said. “Now we are tasting Majdool and it’s lovely, we are going to buy it. “Dates that we usually buy from supermarkets in Germany are imported from different countries and are long preserved, so they don’t taste as good. “In our country we don’t find dates being sold like this. It’s all packed in boxes in Germany, but here it’s all displayed out in the open and we can taste them before we buy,” added Roth, who was on her first visit to the UAE capital. 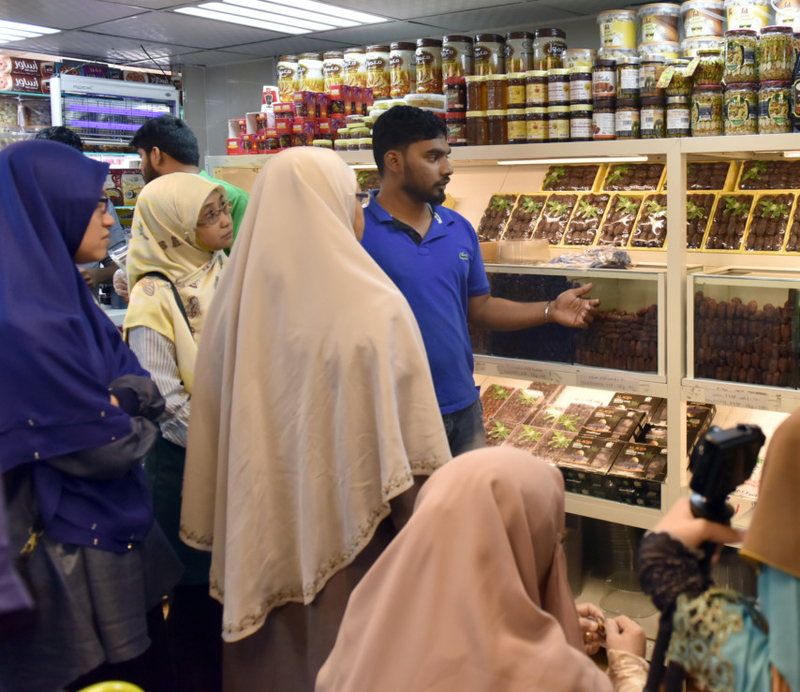 Borhan Abdullah, 38-years-old from Malaysia, who came in a group of over two dozen tourists from his country said: “We don’t have dates in our country and it’s all imported from Arab regions. Tourists come in buses from Dubai, Sharjah and Ras Al Khaimah, and of course from Abu Dhabi. Dates at the market are from the UAE, Saudi Arabia, Jordan, Egypt, Namibia and Palestine, and are priced from Dh10 to Dh140 per kilo. Amitabh Sukul from India came in a group of about 20 people, and said: “I got dates syrup, which l liked the most as I can’t find it in India. Most of tourists at the dates market trade in dollars, Euros and other currencies and vendors accept them all. 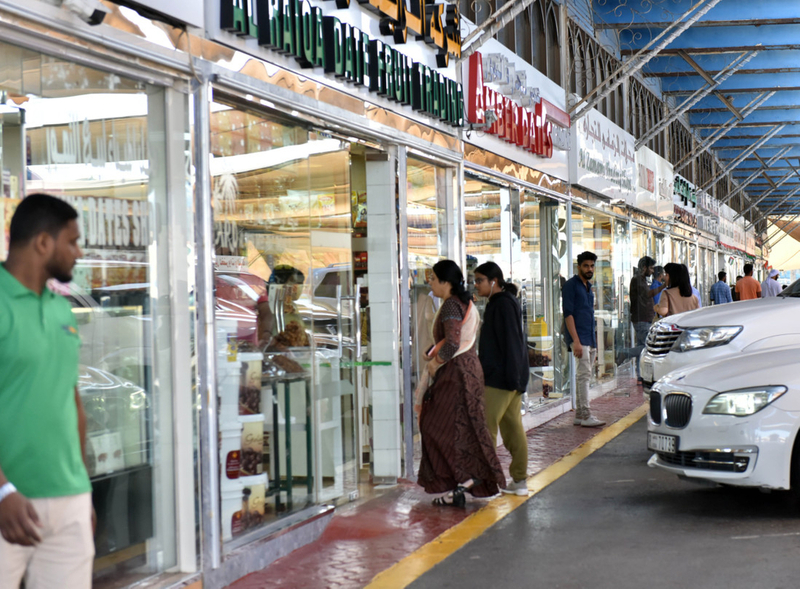 “We accept it as per the current conversion rate of that particular currency and return their balance in dirham,” said Sameer Abdur Rahman from Ambar Trading.